It is time to stand together and speak up against the atrocities of the greyhound racing industry. Not only are greyhounds used and disposed of as trash by this industry, but other animals are killed in the name of the sport. This inhumane "sport" must end, and now that the truth has been revealed, there is no better time than now. Since the horrific video was aired, over 30 people have been suspended, tracks have been raided, and Greyhound Racing Victoria chairman Peter Caillard, the entire Greyhound Racing New South Wales board, and CEO Brent Hogan have stepped down. 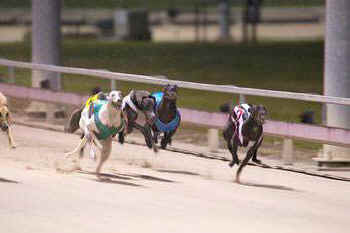 Recent events have thrown the Australian greyhound racing industry under the spotlight once again, except this time the light is far dimmer than before. Thanks to work by Australian animal rights organizations and an exposé by ABC TV's Four Corners, the inhumane practice of live baiting, where piglets, rabbits, and opossums are pulled by a line, chased, and mauled by greyhounds, has been uncovered. Thankfully, this abuse has not gone unnoticed or unpunished. Over 30 people have been suspended, tracks have been raided, and Greyhound Racing Victoria chairman Peter Caillard, the entire Greyhound Racing New South Wales board, and CEO Brent Hogan have stepped down. Deputy Premier and Minister of Racing Troy Grant has expressed his outrage, stating that animal cruelty is taken and dealt with severely in Australia, however he still refuses to suspend the greyhound industry. The fact that he is not even considering suspending the sport is unbelievable. Those connected to the abuse are none other than the president of a racing club, a two-time Australian Trainer of the Year winner, and also a former Integrity Manager. For an industry not to be suspended when their own Integrity Manager lacks all morale and integrity is unfathomable.